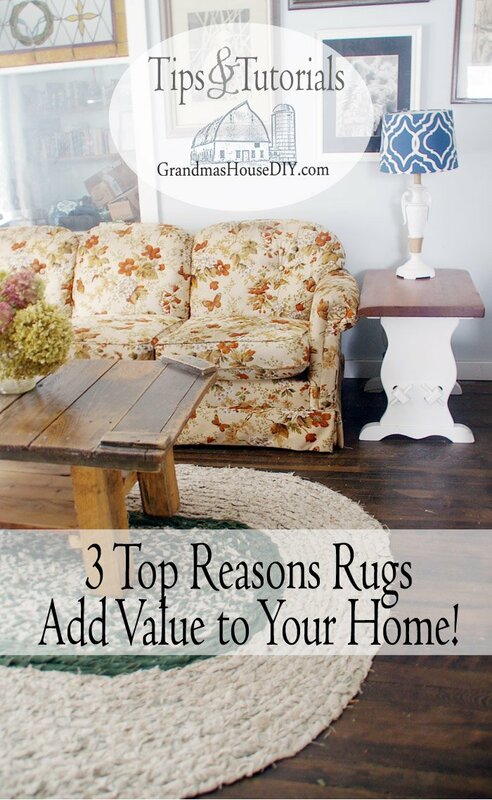 I am SO pleased to share this sponsored post by Rug Mountain about the top 3 reasons that rugs add value to your home! 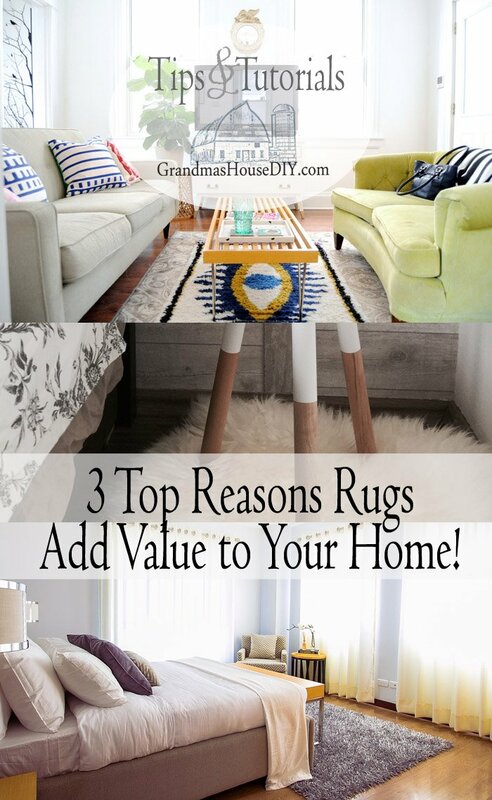 I’ve already spent WAY too much time on their website lol Rugs are an absolute staple in my home because we have dark hardwood floors throughout, they don’t just serve as being pretty but also serve me in being VERY practical and important to keeping the dirt down! I even made my own braided rag rug last year and, though it was a lot of work, I still appreciate it in my living room every day! 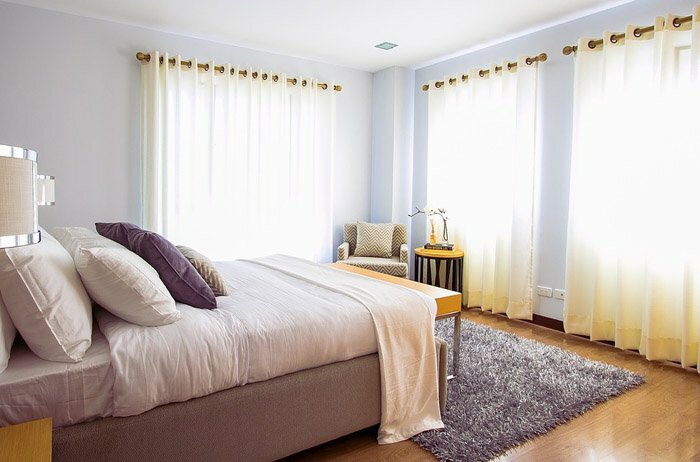 When it comes to redecorating you’re more than likely looking for those odd comforts that can make a house a home. Your house is where you can truly personalize a space and should be somewhere you look forward to coming back to at the end of the day. A great way of bringing in that comfort and texture is with the use of a rug. This simple addition can transform a room to create a sophisticated sense of layers and strong themes. Carpets have been becoming increasingly less popular over recent years. In their place, wood floors including laminated and vinyls have become homeowners favorites. Wood floors give you a gorgeous finishing look that helps homes to look more expensive and trendy. Their main advantage however comes from their longevity. Wood floors of any variety have a far longer life than carpets making them fantastic investments. This is where rugs come in handy. 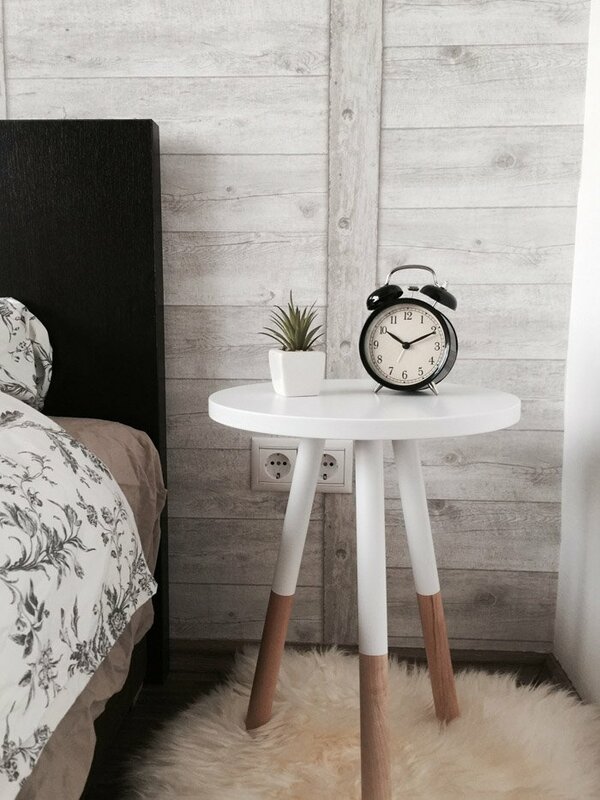 Wood floors in rooms such as bedrooms or lounges are often lacking that slight homely touch. 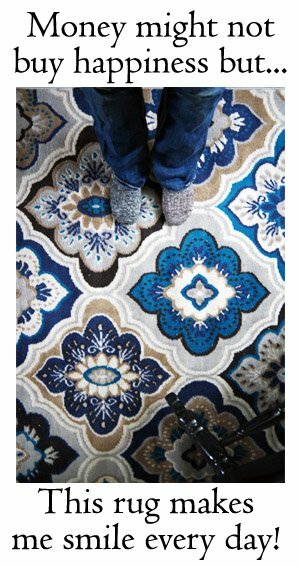 Rugs are great therefore at bringing back that practical warmth and plush feeling underfoot. They also complement wood floors in appearance giving you the chance to work further with textures and layering. This is something that will make your property look and feel as though it cost more than it really did. There is no better way of bringing in a welcoming atmosphere than with the use of a rug. 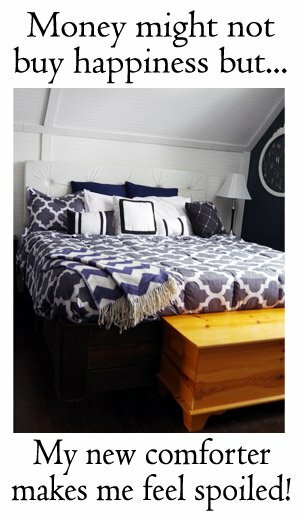 As previously mentioned, they bring in that softer and comfier look that helps in creating that homely look. For the ultimate cozy feeling use a shaggy rug. Shaggy rugs earn their name thanks to their long pile length. The longer the pile length, the shaggier and thicker the rug is. We can’t talk about atmosphere without mentioning color. Color is the main factor that can affect a room, so its important to choose wisely. Ultimately you want to personalize your home as you see fit, but if you rent, this can be difficult. This is where a rug comes in handy, giving you that chance to further personalize without touching any of the fittings in your landlords property. Rugs can tie looks together seamlessly and allow you to work with accent colors to give that final, professionally finished aesthetic. 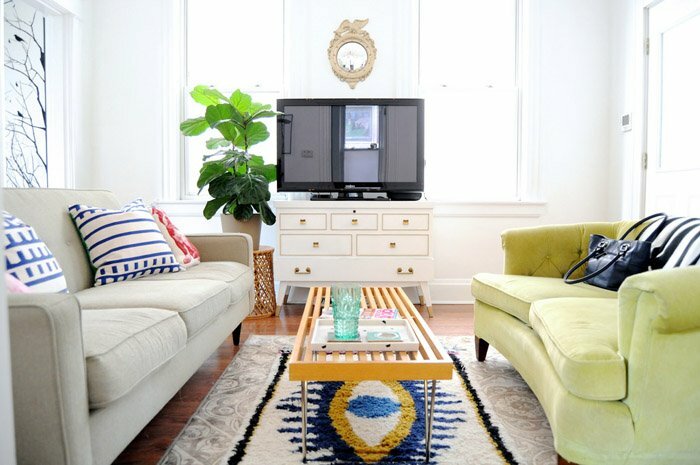 Rugs don’t just look good; they are also incredibly practical too. They are great at insulating your floors and helping to retain heat. 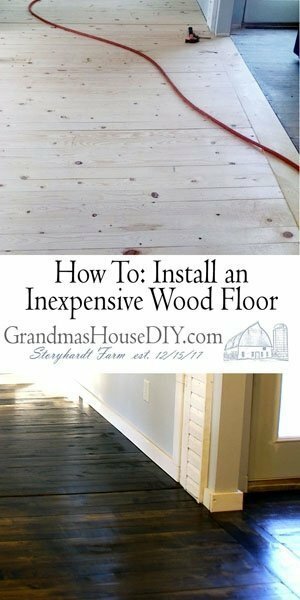 This is especially good if you have tiled floors that struggle to stay warm. They are also ideal for helping to prevent slips and falls which is something to consider if you have kids and or pets. Not only all that, but rugs are also great at dampening sound, something to consider if you live in a block of flats where you’re likely to be affected by noisy neighbors. Thanks Rug Mountain for sharing with us today!